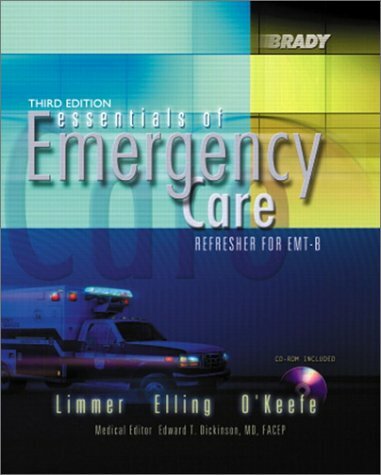 Designed for experienced EMT-Bs who are beginning or are about to begin an EMT-B refresher program, this text offers thorough but concise coverage of the curriculum. This edition includes 12 new case studies and a list of core concepts at the start of each chapter. years. He frequently rides with EMS units and has maintained his certification as a National Registry EMT-Paramedic. He has served as medical editor for numerous Brady EMT-B and First Responder texts and is the author of Fire Service Emergency Care and co-author of Emergency Care, Fire Service Edition, and Emergency Incident Rehabilitation. He is co-editor of ALS Case Studies in Emergency Care.